A control can only accept user input via the keyboard if its Focusable property is set to true. 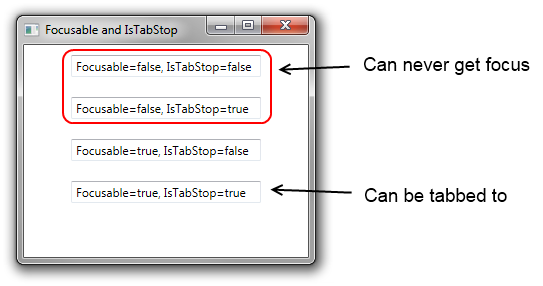 A control can be tabbed to and accept input only if both the Focusable and IsTabStop properties are true. This means that if Focusable is false, the IsTabStop property is ignored.